“What a fantastic day for a race. Several of the big players had been bribed/sabotaged etc. and there was a air of expectancy amongst us regular back markers. Unfortunately the Mars Bar bribing scandal, which at least used to be discreet has now become very public. 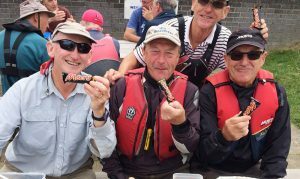 Several volunteers at Wealden Sailability made no attempt to hide the open trading of Mars Bars – photographic evidence has been obtained (see pics). The whole process was disrupted when Peter Gregory entered – stage left – but fortunately it soon became obvious that the Red Torpedo wasn’t available (phew!). Sources later confirmed that the twin underwater turbo’s were miss-firing and the Torpedo was being serviced. Race officials had previously informed the Racers that Peter G would be unavailable for a month or so and, whilst we were all pleased to see the all-conquering hero, the mafioso bookmakers weren’t so happy. But Peter G had decided to skipper one of the un-fettered 2.4’s and no one knew how he would perform minus his five litre Diesel engine. There was a lot of confusion on the dock when Steve Farmer openly tried to bribe Bob Marsh to allocate him a challenger boat! The bribe (wait for it) was just one Mars Bar . You can see, in the photo of Steve’s dodgy behaviour, Bob trying to hide his shock horror / amusement, as Steve was put in one of the very obvious 303 ‘lemons’. That should teach him to try and curry favour with the race officials, I thought! But, having paid the going rate, I was allocated my regular Red Rocket and I was ever hopeful that repairs from last week’s various accidents had been professionally carried out and the Rocket was primed for victory. I have to say that by now I was feeling very confident, when suddenly Captain Bligh appeared and began hurling abuse at me, because of my comments on last week’s race report. She has decided I am to be re-christened Napoleon. Now I have spent considerable time with Ann over the past few years and she has always told me that she doesn’t use the Internet. But obviously that is not the case….for those that don’t know, Ann had a book published using her own animations. There’s more to Captain Bligh than meets the eye. And so to the Race. A number of regulars were missing. Peter W still traumatised from the splashing broadside he received two weeks back and was making excuses about being on holiday in Cornwall. Kim having served her one race suspension/ban, sadly didn’t appear (hope all is well Kim). Andy had point blank refused to take a bribe and with Mike Blatchford being promoted to the 2.4 squad, there wasn’t a Martin helm prepared to embark on a kamikaze mission on the 2.4’s. Shame! The off-course bookies had noticed however that Mike Blatchford was carrying some form of injury to his arm. In fact he had been savaged by his very small puppy and although he was claiming 65 stitches and near amputation, a later inspection revealed a small Elastoplast. By the first Mark, Steve Farmer had discovered that his Lemon didn’t steer properly and the Rocket had left him in its wake (tee hee). The wind was very soft between A and C, but the Reach from C to K was scintillating with some very strong gusts as we approached the downwind Mark K. Fay and I were nip and tuck for a lap or two and as we approached K on the third lap I had a slight lead. Suddenly, a gust hit and I had both the main and the jib uncleated (phew) and I found myself hurtling towards K and totally out of control. I just managed to let my main out in time, whilst Fay and crew flew by at breakneck speed (great sailing guys)! I should have pointed out that by this time the mortally injured Mike Blatchford and Peter Gregory, in their unsupercharged 2.4’s, had shot by and I knew would be fast approaching from behind again to take the lead. Also Brian was going really well in the Liberty (great to see you back on form Brian). 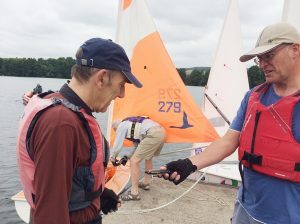 Slowly but surely the fleet began to overhaul me, with another Liberty (sailed by a new cohort, Bill Garry, who hadn’t been offered any Mars Bar!) going by. 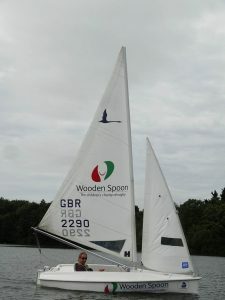 The Rocket was still performing well, but faster boats and better skippers were taking their toll. It was fairly quiet on the lake and, because I didn’t hear the torpedoe’s engines, I could almost hear the feint sound of summer birdsong. Well actually that was between shouts of “Starboard” and “Avast ye, you swabs” from Bligh and Steve’s complaints that Bob Marsh had “Done him up like a kipper”. I also think I heard him snoring, but that’s another story. 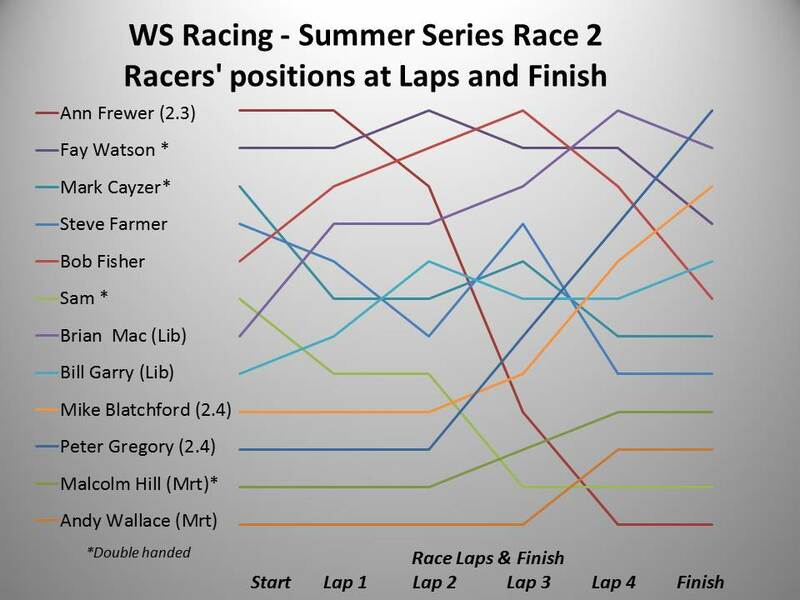 All too soon (or all too late, in my case) the second Race of the Summer Series was over and Peter G'(in a borrowed 2.4) had triumphed, just ahead of Brian in his Liberty (congratulations Brian) who was a way ahead of Mike B in the second 2.4 (his savaged-arm must have held him back)! It was great to see Brian sailing so well, but of course I hope that he realises, this means he is likely to be sabotaged in the future. Thank you Bob. Being in such a spin down here in Brighton, I haven’t had a chance to check the accuracy of Bob’s report (so all law suits to Bob please). 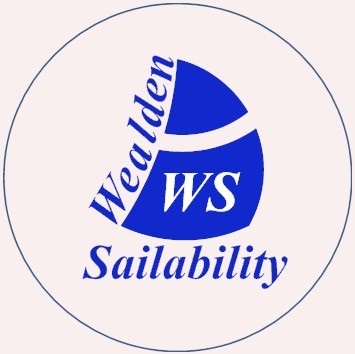 Do enjoy the pictures of Brian in his Liberty and Captain Bligh in her heavily reefed 2.3 and the normal schematic. Looks like you had another good day for racing. I’ll be back next week. Many thanks for your editing skills and congratulations on your new family addition. Just spoke with Steve and I am slightly concerned that he may be fighting back in his response. I have alerted my lawyer in case Bligh or Steve try to to attack my character. If I am not around next week you will know what has happened. Bob I agree that there is more to Captain Bligh. Did you know that they believe that Napoleons defeat was down to the fact that he suffered with hemorrhoids! I think Ann knows more about you than we thought and maybe sailing the red rocket is most appropriate for you. 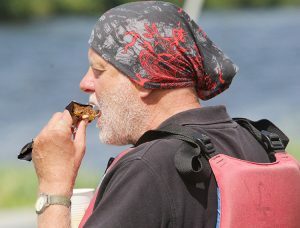 I shall be camping out the night before the next race to lay down my towel on a decent boat. 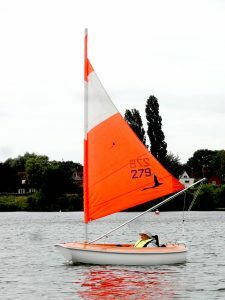 If only I could remember the name of the one I was sailing! Congratulations to Peter and well done Brian. And thank you Bob Marsh for updating me on the rule book, to show me how to block boats threatening to overtake. Where was that photographic evidence of doping that was rumored to exist?!? Happy birthday to the new grandad! Congratulations too to the racing fleet helms! !